The circus-inspired punk-rock cabaret group brings their raucous brand of Halloween fun to Manhattan (last year they played Williamsburg’s Brooklyn Bowl). No colorful costumes allowed this time around, as a strict dress code of gray, black, and white will be enforced for the show. 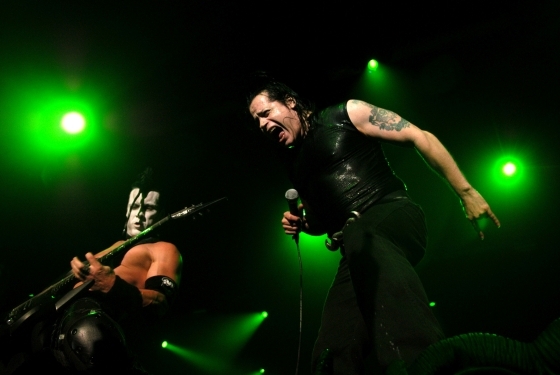 Is there a more appropriate Halloween activity than seeing Danzig perform? The idol of Hot Topic shoppers everywhere performs selections from his entire career—Misfits! Samhain!—Saturday night at Hammerstein Ballroom. The rowdy Atlantans headline a Vice magazine party at Webster Hall, a sure recipe for some near-fright-night debauchery. Davila 666, billed as “Puerto Rico’s punk rock answer to Menudo,” and Xray Eyeballs open the show. The name says it all for Mercury Lounge’s costumed dance-party blowout. With a soundtrack by Booga Sugar and Hot Lava, you’ll want to make sure your costume is dance-proof. For those not too keen on showing off their Halloween spirit, there are other more restrained options over the weekend, none more noteworthy than the former Neutral Milk Hotel front man’s show at Town Hall. But don’t be surprised if you see a ghost or witch among the crowd of adoring fans. Note: Advance tickets are sold out, so check Craigslist and pray to the Great Pumpkin. Party like it’s your last night on Earth.•Fright Night at Electric Beach! Four floors of wicked Halloween fun.